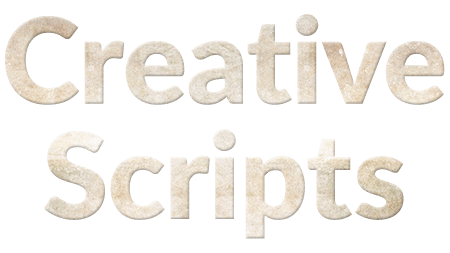 SCRIPTS & TIPS Where to plonk my Adobe extensions? Where to plonk and unzip my .zip extensions? If the extensions folder doesn't exist yet then create it. NOTES (1) Replace TREVOR with your username if your username is not TREVOR (2) If in doubt use the "All Users" folders (3) Don't forget to Unzip the zip file! (4) If the extension's not signed please see here how to make it usable. What to do with a zxp file? Installers The first stage of being able to install an extension from a zxp file is to install an installer either ZXPInstaller or Anastasiy's Extension Manager.  Make sure you have downloaded and installed the most recent version or the installer apps. Install zxp by dragging After you have installed your installer you can then install zxp file by opening your chosen installer and dragging the zxp file onto it. You still will not be able to install by double clicking on the zxp file. Enable zxp double click install on Mac Single click on and zxp file and then press ⌥⌘I (option+command+i) to display info tab. Click on the "open with" dropdown and chose the app you want, either ZXPInstaller or Anastasiy's Extension Manager but not Adobe Extension Manager. If you don't see the app pick open with "other…" and select the desired app. To select the zxpInstaller I needed to chose enable all applications. Click on the "change all" button to apply the change to all zxp files and not just the specific zxp file that you selected. Enable zxp double click install on Windows Right click on the zxp file and hover over or click on the "Open with" option select "Chose another app" click on the "Always use this app to open .zxp files" option and then click on the "More apps" option, you will probably need to click on the "look for another app on this PC" option which you might have to scroll down to see. Then sigh  you will probably have to navigate from the "Program Files" folder to the "Program Files (x86)" folder so that you can pick the app either ZXPInstaller or Anastasiy's Extension Manager but not Adobe Extension Manager. A bit of a performance but it shouldn't take you more than 2 minutes so it's most likely worth the hassle. NOTE If the extension's not signed please see here how to make it usable.